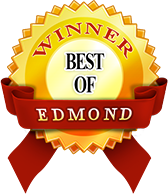 What are you personally looking for in the way of Edmond, Oklahoma renal housing? What do you really want? What do you need? Besides a nice, comfortable place to live in and the conveniences that come with a multifamily rental community, you probably want your Edmond rental housing to be located near public transportation, jobs, nice schools and to save money shopping at the local stores. Maybe you want to take a 360 tour tour of our property or see pictures of Bryant Grove before you’re convinced you’ve found the right rental housing community. Okay, go ahead and look. I’ll wait…. What do you think? Have we still got your attention? Good. You’ll enjoy our award-winning and pet-friendly community on 6.5 acres of wide open spaces and mature trees. Plus a swimming pool and on-site laundry and more. Now, does it all come down to how much the rent is? That’s okay, take a look. And senior citizens and active-duty military take a discount off of those affordable rates. Let’s get started by you entering your name below for a discount off your application fee. Maybe there are too many discounts? You might want to do it now before we change our mind. Do you want your application fee refunded? Enter your name in the field below and click on Submit to see your personalized discount coupon. Then print the coupon and bring it with you when you visit our community. It's worth up to $40.00. Your refund will be applied to your account with us. The only thing left is for you to call (405) 341-2161 or email us or visit Bryant Grove (map) today, April 22nd. You’ll be happy you did. We’re often 100% leased, so don’t delay. We look forward to hearing from you and meeting you in person. One of the features you may enjoy most is how livable our rental homes are. All three floor plans flow smoothly from room to room and feel like home from Day One. 1-bedroom, 1-bath apartment with 650 Sq. Ft.
2-bedroom, 1.5-bath apartment with 832 Sq. Ft.
2-bedroom, 1.5-bath executive apartment with 876 Sq. Ft.
3-bedroom, 1.5-bath townhouse with a spacious 1,260 Sq. Ft.
With our one-bedroom, two-bedroom and three-bedroom floor plans, we can meet your lifestyle needs here at Bryant Grove.